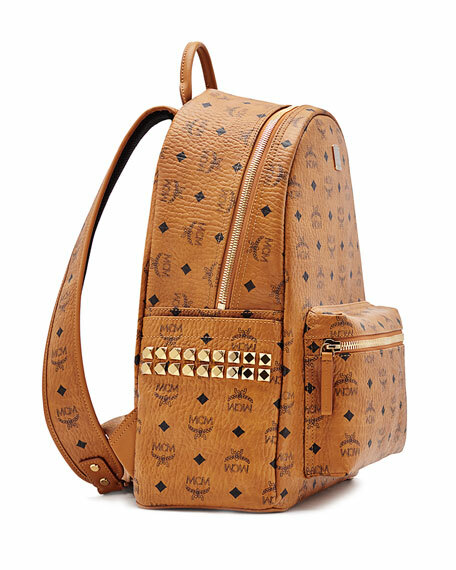 MCM monogrammed coated medium canvas backpack with leather trim. 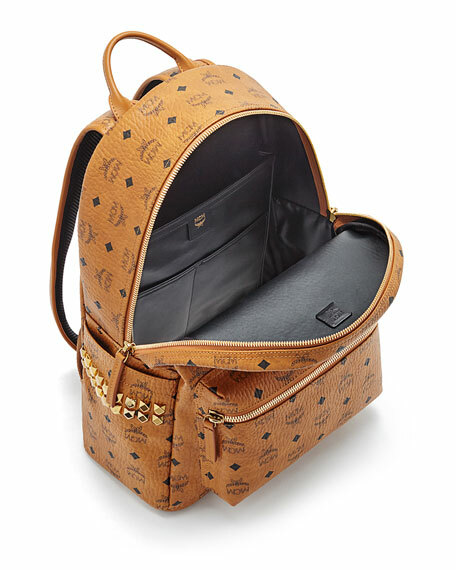 Adjustable back straps; rolled top handle. Front zipper pocket; two side slip pockets. Interior, two slip, one zip and one large padded pocket. 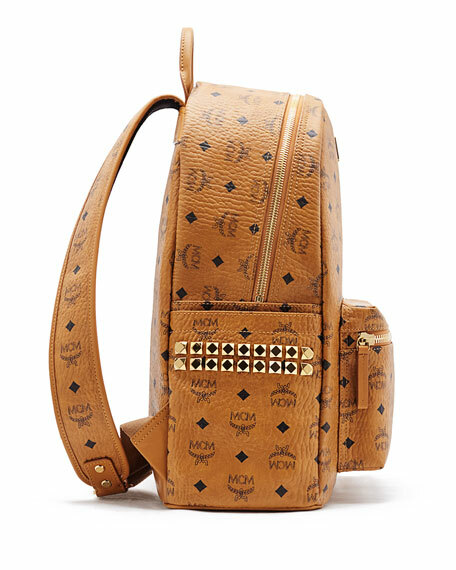 Individually numbered plate details every MCM product. 16"H x 13"W x 5"D.
For in-store inquiries, use sku #1693660.